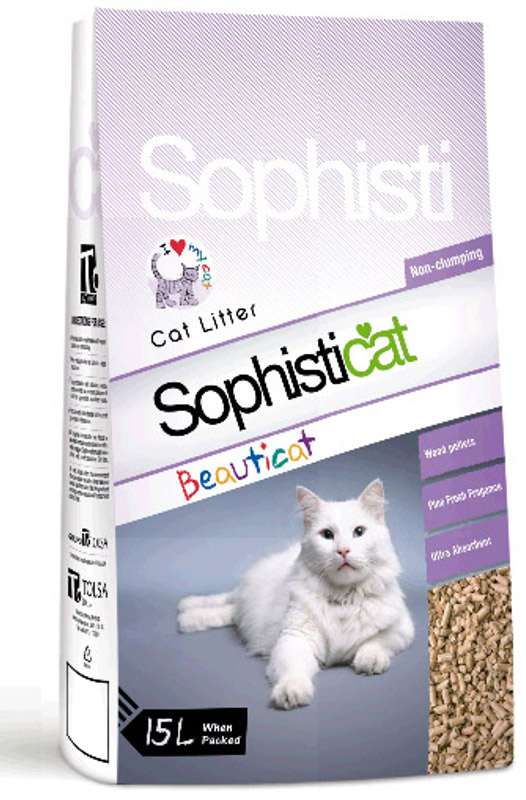 Sophisticat Beauticat is a super absorbent cat litter, with recycled sawdust pellets that are natural and thus completely biodegradable, reducing waste produced from unnatural litters. With a pine fresh fragrance to counter unpleasant odours. There are currently no questions for Sophisticat Beauticat Cat Litter - be the first to ask one!